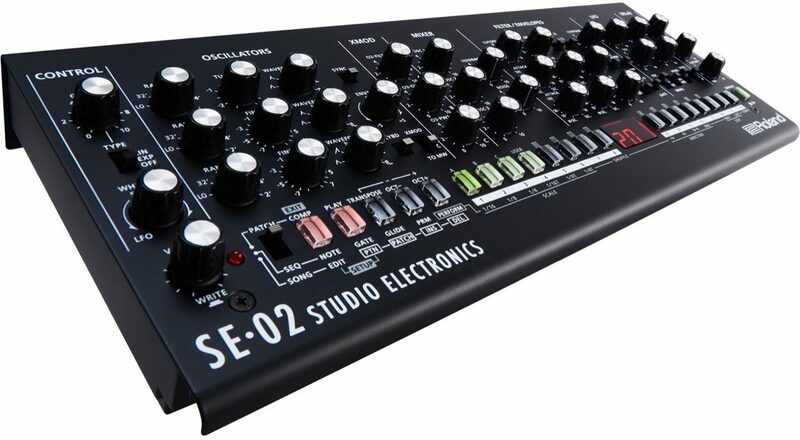 The SE-02 is big and bold, with thick, rich lows and clear, vibrant highs--exactly what you think of when you imagine classic vintage synth tone. And while the SE-02 can create astonishingly great vintage sounds, it can do so much more. It has three types of cross modulation (XMOD), a ripping filter feedback loop, a tempo-syncing LFO with nine waveforms, envelope sweeping and inverting, oscillator sync, a noise generator, and a tempo-syncing delay. 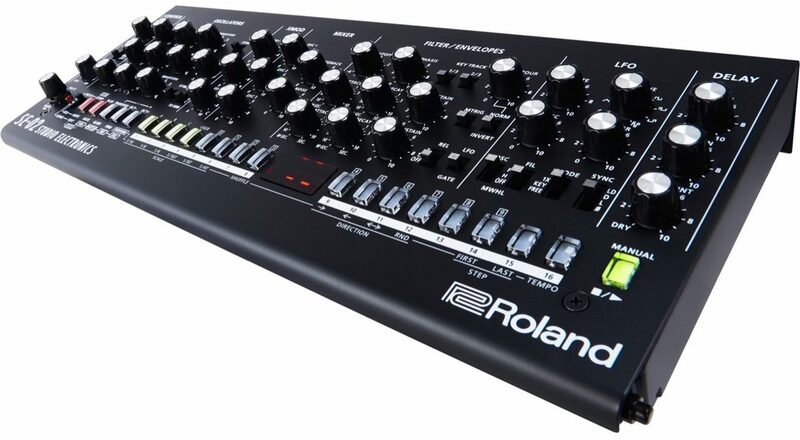 The SE-02 includes a powerful 16-step sequencer to add motion and dimension to your sounds. It can sync to external tempo via MIDI, USB, or trigger input, and per-step gate time, adjustable glide, tempo, and patch number are stored with each sequence. Creative performance features allow you to set shuffle, scale, direction, and first/last steps on the fly. Even synth parameters can be automated by sequencing changes--just press a step and move a control. And despite the SE-02s compact size, the sequencer is fun and intuitive, lending itself to both studio and live usage. You can store 128 sequence patterns and construct 16 songs, each with up to 16 parts.